Christian Women Kindle Books on Sale! I love to read. And y’all, Amazon is having an AMAZING sale on Christian Women’s Kindle eBooks right now — most of them are just $0.99 and all are under $5! Throughout the year, I’m constantly looking for great eBook deals to purchase and then I’ll read them later as I have time. Here’s a publishing insider tip: you can get the BEST deals on eBooks from now through the first of the year as publishers slash prices for Black Friday and holiday sales. So whether you actually own a kindle (I have a Kindle Paperwhite from a few years ago and it’s my favorite) or simply download the Kindle App and read them on your iPhone or iPad, you can stock up now on these great books to read over the holidays. 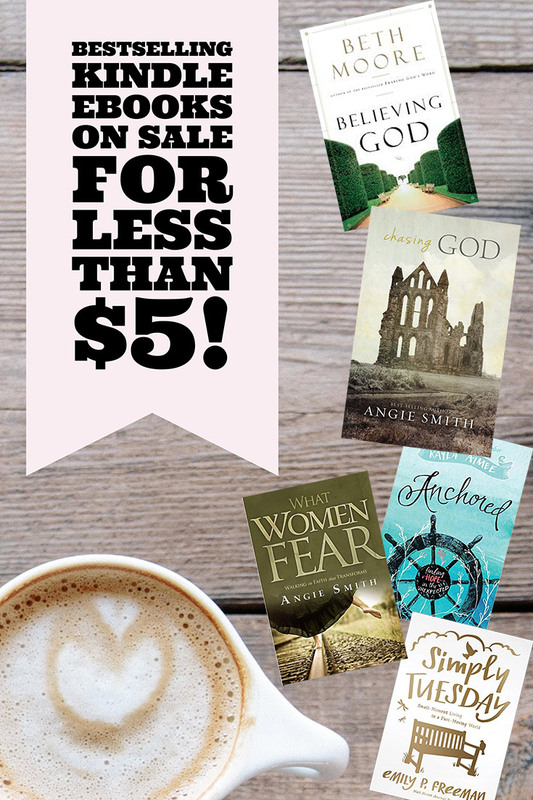 I’ve put together my favorite books on sale right now for you to enjoy! Believing God by Beth Moore ($4.99) : This book completely changed my walk with God and I highly recommend it. Beth Moore is such an authentic writer and you’ll be encouraged in your faith with this one! Chasing God by Angie Smith ($0.99) : I really love anything and everything Angie writes and this is no exception. If you feel like a failure as a Christian and that you don’t measure up to God and His standards, you might be chasing God. Angie shares how she stopped chasing Him, and really began to KNOW Him instead. Filled with incredible wisdom, I love this book. Anchored: Finding Hope in the Unexpected by Kayla Aimee ($0.99) : Kayla is both precious to read and she’s HILARIOUS! Anchored is her memoir of navigating my newfound motherhood in the most unexpected of ways, interwoven with hilarious and hope-filled stories to encourage and uplift. I loved reading it and it is a hope-filled message for anyone, especially if you’re a mom! What Women Fear: Walking in Faith that Transforms by Angie Smith ($0.99) : Another amazing book by Angie Smith, and in this one she sheds light on the crippling effect of fear and shares stories of others who have struggled with it. She finally leaves us with the hope of how God uses our struggles and REDEEMS them as only He can. So encouraging! Simply Tuesday by Emily Freeman (FREE with Amazon Prime subscription): If you know me, you know I love Amazon Prime and with their recently unveiled Kindle Unlimited program, I have another reason to love it even more!! So this Kindle eBook is technically $8.84 but you can read it for FREE if you have Amazon Prime. 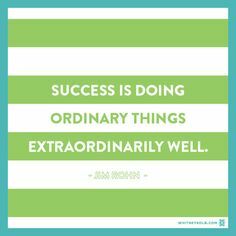 I recently had the chance to meet the crazy talented author Emily Freeman at the Hope*Writers workshop, and I can’t wait to dive into Simply Tuesday, her newest book. 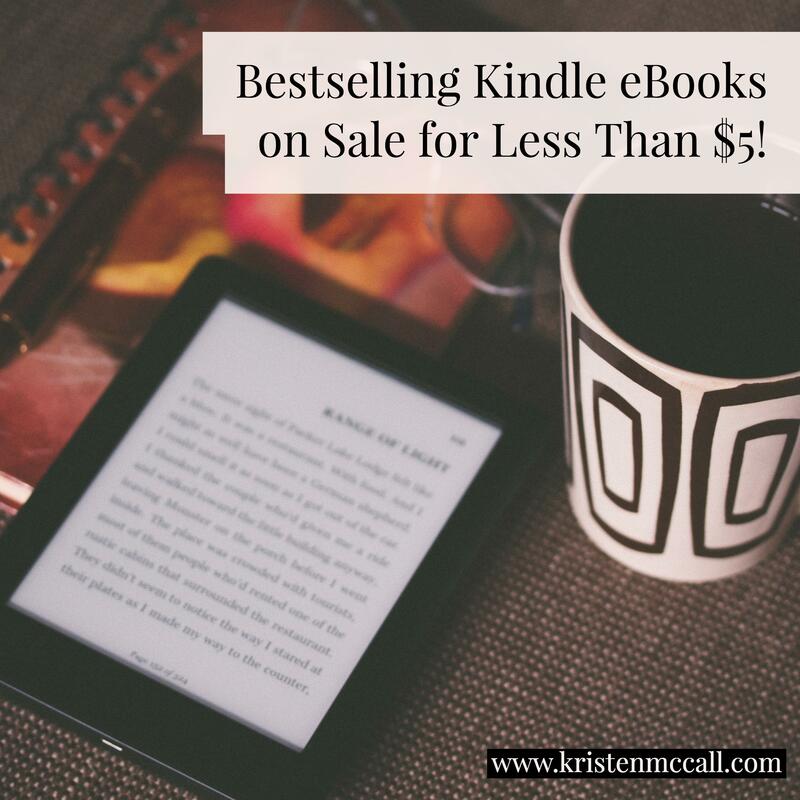 Be sure to grab these Kindle ebooks before they go up in price – you never know when they’ll change the price again! Happy reading over the holidays! !